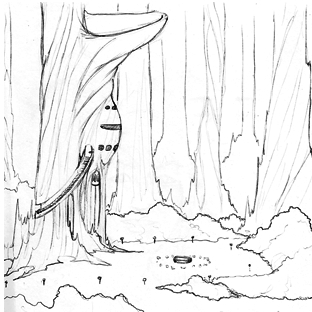 Just posted a new piece of concept art, the original sketches working out the design of the Cashel Waystation. I’ve also added this piece to the Valley of the Silk Sky tumblr. While I’m no longer maintaining the VotSS tumblr as a full standalone website, I will keep posting stuff there periodically. Especially given my mystery issues with this site going down for no apparent reason. Hopefully I’ll be able to get that resolved once and for all before too long, but until I’m confident I’ve got things working correctly, I’ll continue to use the VotSS tumblr as a sort of backup site. Previous post: Technical difficulties are fun!